Over a year ago, a series of terror attacks and explosions hit Brussels International Airport and the metro subway system. Travelers are asking similar questions, “Is it safe to travel to Brussels?” Although there is a threat of terrorism all across Europe, there are several things travelers can do to stay safe. Brussels is a charming city, so we hope you can consider it on your trip. It’s a long way to come for just 3 days, but if that’s all you can spare, then this 3-day suggested itinerary will be very useful. There are of course numerous other destinations in this city so you might want to mix and match the suggestions below to create your own itinerary. Language – French, Dutch and German are Belgium’s three official languages. The French spoken in Belgium is practically the same to the French spoken in France, with some differences in local terms and slang. The same thing also applies to the Dutch and German language, which are very identical to the language in the Netherlands and Germany. The city of Brussels is situated in the Brussels Region, so French is the pre-dominant language spoken by locals. Most Belgian in major cities and other main tourists’ spots, speak English so you can absolutely get by without speaking their language. Like any other countries, speaking at least some French or Dutch phrases or attempting to learn is greatly appreciated by the locals. Safety and security – There is currently no nationwide security advisory in effect for Belgium. Check your country’s travel advisory website to get the most up-to-date information for your personal safety abroad. Please note, Belgium has remained on its Level 3 alert status (as of May 2017), on a scale of 1 to 4 (4 being the most serious), since the terror attacks a year ago. That means, enhanced security measures are in place and threat of an attack is possible. Although most visits are trouble free, always remain vigilant. Getting around – Brussels features an excellent public transport network consisting of trains, subways, taxis, public buses and trams. Being a relatively small city, Brussels is bicycle friendly and can also be easily explored by foot. Another reliable option when getting around is by Taxi. There are plenty of taxi companies, however, taxi rides are expensive like in other European countries. 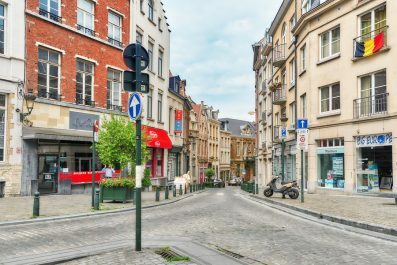 Renting a car and driving on your own in the center of Brussels is not recommended because it would actually be more hassle due to the limited parking space and narrow streets. Where to stay – Brussels accommodation options are diverse, with something for every level of comfort and budget. 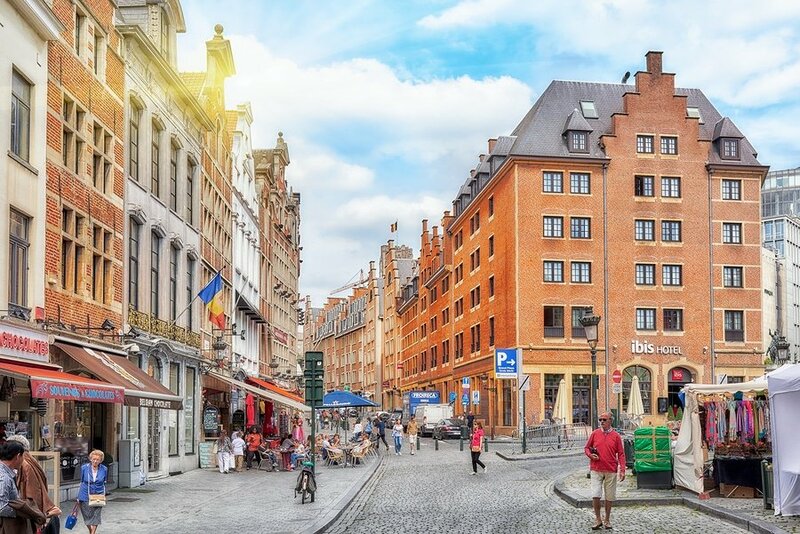 The most frequent question from first time travelers is, “What’s the best area to stay in when visiting Brussels?” Without a doubt, the best place to stay in Brussels is the area around the city center. It contains almost all of the main sights and the best places to eat. So, staying here makes a lot of sense, especially if your time is very limited. 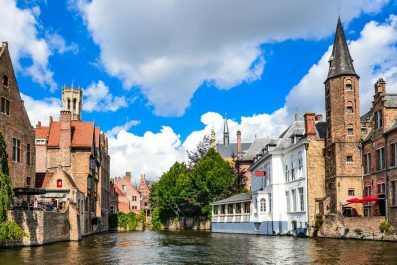 Depending on your time of arrival, you can either take it easy and soak up the atmosphere in Brussels or you can begin your tour of its famous attractions. Upon arrival, check into your chosen accommodation and get your Villo! bike, the self-service bike rental in Brussels. Biking in the city is an extremely popular activity among locals and tourists as it has several physical advantages. It is also a great way to see the city without spending too much money on transportation. To discover the network of Villo! bike stations, download the map and the list of stations online. 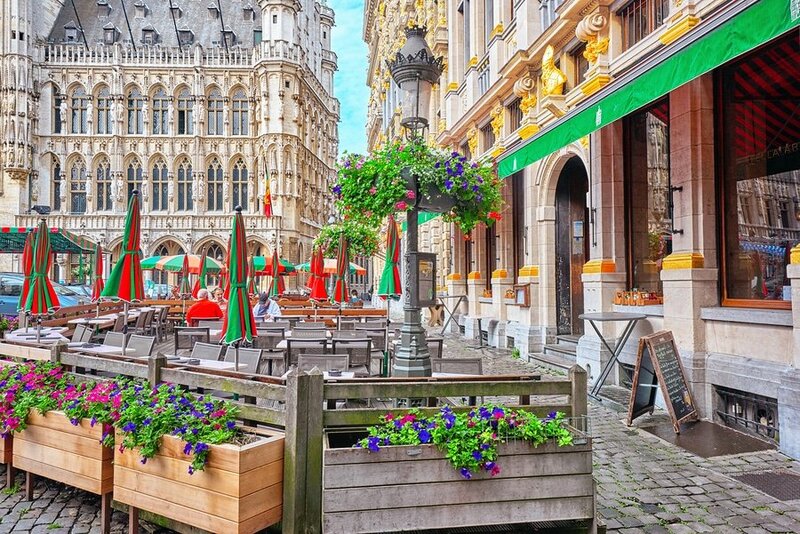 There is no better way to get to know the city than visiting the Grand Place, one of the world’s most beautiful squares. This part of the city steeped in history is a classic example of a Belgian town filled with traditional buildings and cobbled streets. The most famous attraction in the Grand Place is the Gothic-styled Town Hall, the seat of the mayor of Brussels. Then, you may visit one or two of Brussels’ best-loved museums like the Musée de la Ville de Bruxelles. 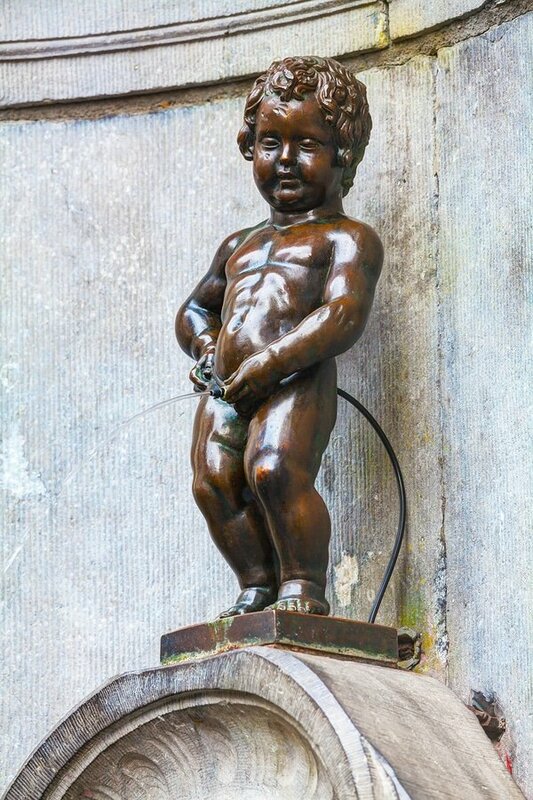 Here, you won’t miss the Manneken Pis, the city’s urinating mascot. Your next destination is Atomium, located on Avenue de l’Atomium. Since it was constructed for the 1958 World Fair, the Atomium has become one of the icons of the city. End your day at Place Poelaert (Palace of Justice) located at Place Poelaert 1. This is a perfect place to get a stunning panoramic view of Brussels and beyond. After your historic tour, make your way back to your hotel and get a good night sleep. 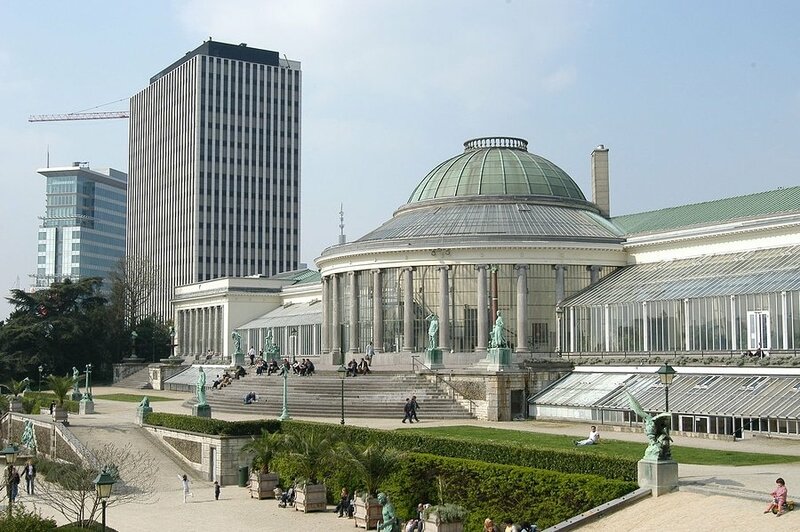 On day 2, after having a filling breakfast, set out for the Royal Museum of Fine Arts, which exhibits the fascinating history of Brussels and houses a vast collection of historical paintings, drawings and sculptures from the world’s most famous painters and sculptors. Another museum you should not miss is the Musée des instruments de musique de Bruxelles (Musical Instrument Museum), a music museum which houses over 8,000 musical instruments. In the afternoon, head to Moeder Lambic on Place Fontainas for some craft beers. 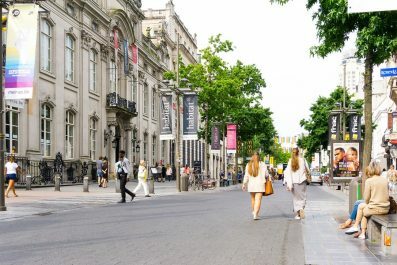 Then, wander around the lovely Boulevard de Waterloo, one of the main high-end fashion-shopping streets of the city. It is a great place to people watch and do some shopping. You may also take a nice afternoon stroll along the Botanical Gardens to end the day. It’s time to say good bye to Brussels! If you still have time before departure, treat yourself to a delicious meal at one of Brussels’s best breakfast spots. Then, check out the places that you might have missed. You may not consider the European Parliament when you visit Brussels, but trust us, there are attractions in this part of the city that you don’t want to miss. You may start with Place du Luxembourg, also known also as “Place Lux,” located opposite of the European Parliament. During weeknights, many professionals, diplomats, company employees and executives gather here for coffee or wine and beer. During weekends, Place Lux is almost deserted, with only tourists clustered around the square. Your next destination is the European Parliament Hemicycle, where the world’s largest transnational parliament gather during plenary sessions. 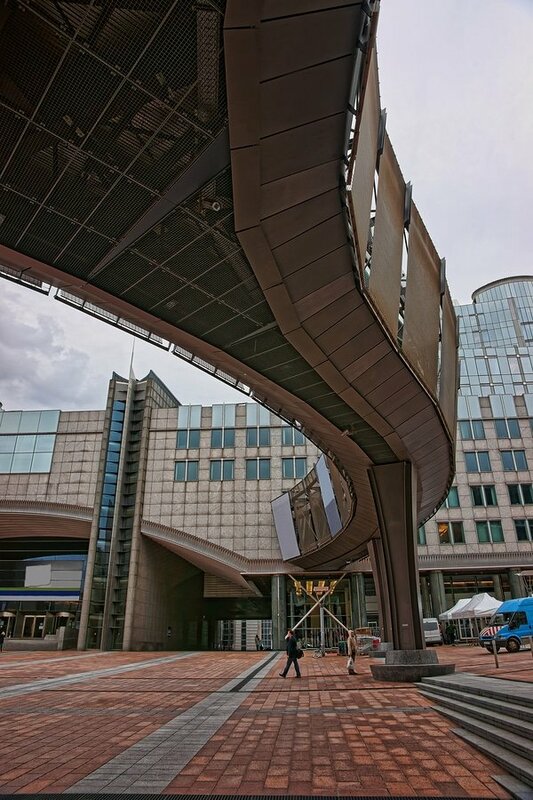 Then, explore the interactive Parlamentarium, the European Parliament Visitors’ Center. Your last destination before departure is the House of European History, a museum dedicated to showcase Europe’s history and culture. Have you been to Brussels or anywhere else in Belgium? Do you have any tips or suggestions to share? If so, you can leave your comments below.